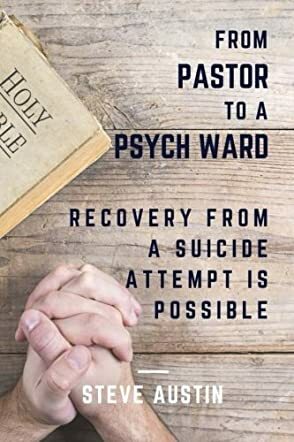 From Pastor to Psych Ward: Recovery from a Suicide Attempt is Possible by Steve Austin is a testimonial about one man's life struggles, dealing with abuse and recovery from a suicide attempt. This is a touching book that deals with a topic most people don't admit. The author shares tidbits from his past to declare the power of forgiveness that only comes through trusting God. We will all go through diverse temptations and trials as we live this life of faith. We oftentimes think that we are living in such a hell that no one understands. When we feel that way, there is always someone who completely understands everything we are going through. We must learn to trust God in all things. Being human, we will make mistakes. Sometimes these mistakes will bring down a load of misery. Even in the midst of calamity, God is yet able. The fact that the author is able to share a past story declares that God is faithful. There came a moment when the author starting living instead of simply existing. When we come to the realization that our life matters and we're special in God's eyes, then an explosion will take place in our lives. The author experienced this explosion and we now read his victorious testimony. I recommend this book to anyone who needs encouragement and motivation to continue living.